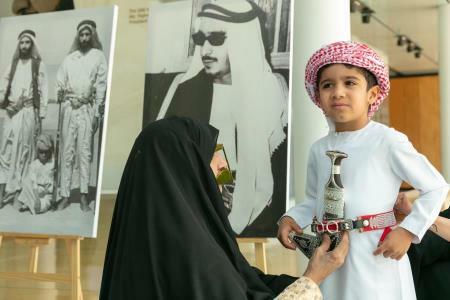 The Festival reflects the aspirations of the late Sheikh Zayed bin Sultan Al Nahyan to preserve the heritage of the UAE in particular and the universal heritage of world civilizations as a whole. The Festival features a dedicated area showcasing replicas of historic monuments and iconic buildings from each emirate, showing how Emirati society has evolved since ancient times and flourished into the prosperous, modern society of today. The Festival will be held in sync with the UAE's National Day festivities, with a wide array of activities to celebrate the Spirit of the Union. ‘The March of the Tribesmen’ is the Festival’s flagship activity, portrayed as a collective expression of the Emirati people's patriotic love and loyalty through national songs reflecting the diversity and wealth of the UAE's cultural heritage. This year's Festival adds another international dimension through an area celebrating 'The World in the UAE', with replicas of iconic international landmarks and world-famous cultural highlights, in addition to historic monuments and buildings from Emirati heritage. All this solidifies the UAE's status as a crossroads of civilisations and echoes Sheikh Zayed's vision of building a modern state that promotes a unified culture of tolerance and peace in the world. Under the patronage of His Highness Sheikh Khalifa bin Zayed Al Nahyan, President of the UAE, the festival is held under the guidance and support of His Highness Sheikh Mohammed bin Zayed Al Nahyan, Crown Prince of Abu Dhabi and Deputy Supreme Commander of the UAE Armed Forces; and under the direct supervision of His Highness Sheikh Mansour bin Zayed Al Nahyan, Deputy Prime Minister and Minister of Presidential Affairs; with the follow-up of His Highness Sheikh Sultan bin Hamdan Al Nahyan, Advisor to the Head of State, President of the Camel Racing Federation and Chairman of the Organizing Committee of the Festival.